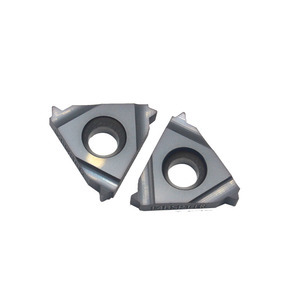 3.Tungaloy threading inserts have a wide range of products for cutting,milling and threading. 4.Stability and security of Tungaloy threading inserts are in productive turning. 6.We have a large stock of Tungaloy threading inserts in our storehouse and welcome your order. No lump material should stick to the cutting edge of the blanks and a light adhesion is allowed in other places. Santon is able to provide high technical and high quality before and after sale services. On the other hand, we try hard to create value for society , to increase value for clients and to realize value for staff . 5. 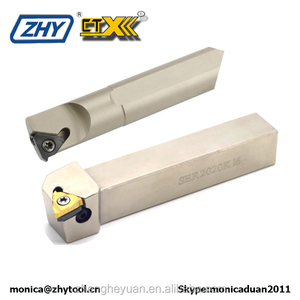 Our own brand is ZHY, we accept OEM, can laser your brand on the body of turning tools. 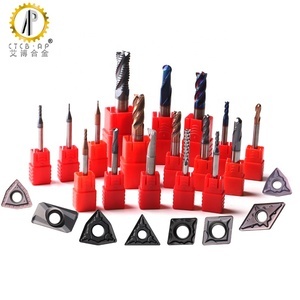 We also have other types of lathe turning tools, like facing turning tools, forming tools, cut-off tools, threading tools.etc. 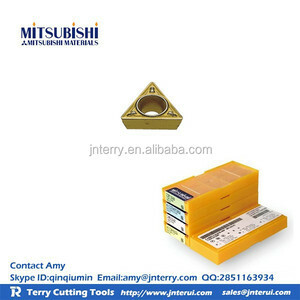 can laser your brand on the body of carbide end mill cutters and plastic box . Q: What is the quality of your inserts9 A: The quality of our product is guaranteed,we can provide samples and we can also accept try order. Q: You are a manufacturing company or trading company9 A: We are hardware factory and have exporting experience for many years. 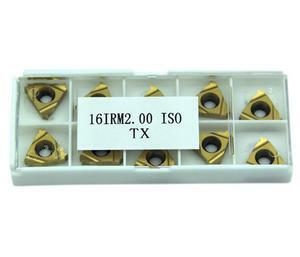 Turning tools solid threading inserts carbides threading inserts carbide for cast iron !!! 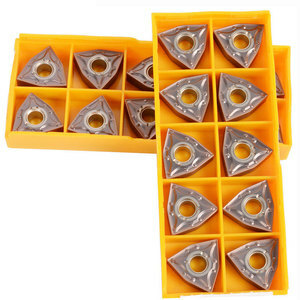 Buttress Threading Inserts CNC Thread Turning Tools Buttress Threading Inserts Made by Diamond Tools Product name Threading Inserts Materials Tunsten Carbide Model 16IR A60 Application Our buttress threading inserts good for Low carbon steel, medium-carbon steel, High carbon steel, Alloy steel , Stainless steel, Cast steel, Cast iron,Aluminium alloy and copper alloy machining Coating Style TiN and TiALN Inserts Drawing & Selection Table D Pitch Designation Dimension mm TPI Right Hand Left Hand L X Y External 1/4" 0.5~1.5 48~16 11ER A60 11EL A60 11 0.8 0.9 3/8" 0.5~1.5 48~16 16ER A60 16EL A60 16 0.8 0.9 0.5~3.0 48~8 16ER AG60 16EL AG60 1.2 1.7 1.75~3.0 14~8 16ER G60 16ELG60 1.2 1.7 1/2" 3.5~5.0 7~5 22ER N60 22EL N60 22 1.7 2.5 5/8" 5.5~6.0 4.5~4 27ER Q60 27EL Q60 27 2.1 3.1 Internal 1/4" 0.5~1.5 48~16 11IR A60 11IL A60 11 0.8 0.9 3/8" 0.5~1.5 48~16 16IR A60 16IL A60 16 0.8 0.9 0.5~3.0 48~8 16IR AG60 16IL AG60 1.2 1.7 1.75~3.0 14~8 16IR G60 16ILG60 1.2 1.7 1/2" 3.5~5.0 7~5 22IR N60 22IL N60 22 1.7 2.5 5/8" 5.5~6.0 4.5~4 27IR Q60 27IL Q60 27 1.8 2.7 Enlarged View Of Cutting Edge For Buttress Threading Inserts Trade Terms MOQ 5pcs if we have stock 10 pcs for arranging manufacture Delivery 5 - 7 working days Test Sample Offered free Packing 1 pc or 10 pcs / box on request Place of Origin Chengdu, China Transport (80% Off) Payment Method 1) W e are a professional tungsten carbide cutting tools manufactur . 2) Improted raw materials allows MAX productivity and stable performance 3) Ewag CNC grinding and inspection equipments imported from UK, Germany, Japan 4) W orld-class technical team and R & D capacity World-class Process,Quality 100% Controlled In Every Step Strict Testing System, Expert Inspection Team Certificates Application & Customer Visiting Return Policy 1. 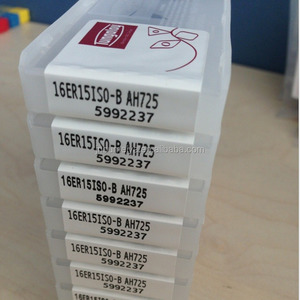 In case you receive the shipment in bad condition, we can make a refund or replace the products as our costs to you. 2. 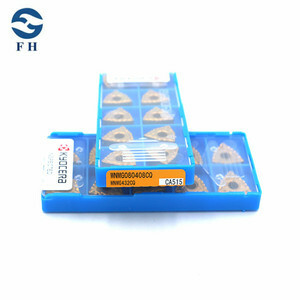 In case your machining productivity is unsatisfactory, pls feel free to send us feedback, we improve our tools according to your working piece and machining condition, and then resend you the samples free for further testing . 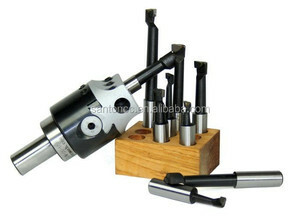 2 YRS Suzhou YYT CNC Tool Co., Ltd.
Alibaba.com offers 9,292 thread turning tool products. About 79% of these are turning tool, 2% are tool holder. 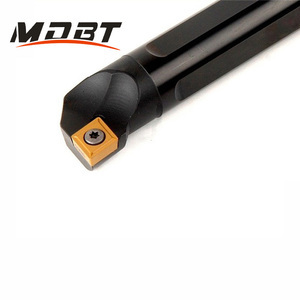 A wide variety of thread turning tool options are available to you, such as thread turning tool, external turning tool, and internal turning tool. You can also choose from free samples, paid samples. There are 9,292 thread turning tool suppliers, mainly located in Asia. The top supplying country is China (Mainland), which supply 100% of thread turning tool respectively. Thread turning tool products are most popular in North America, Domestic Market, and Southeast Asia. You can ensure product safety by selecting from certified suppliers, including 2,379 with ISO9001, 229 with Other, and 195 with ISO14001 certification.